This black ballistic nylon sheath was design specifically for the Kershaw Zero Tolerance folding knives. This sheath is a geniune Zero Tolerance brand and fits on your belt loop with a snap. 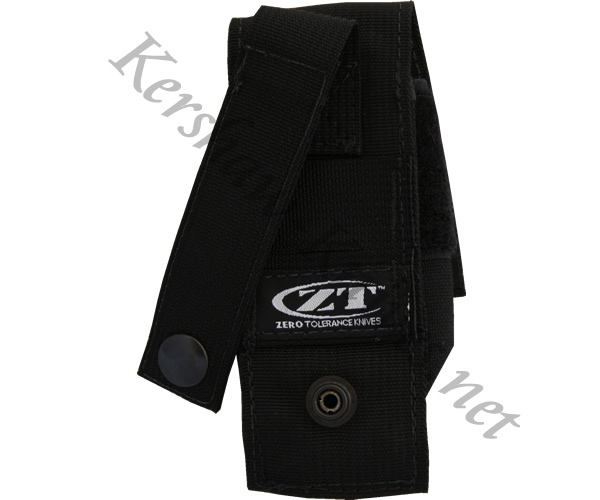 The front of the sheath has the Zero Tolerance logo and a flap that is secured with velcro.